Foreign Object Debris: Internal or external debris that is not where it is supposed to be. Includes tools, loose hardware, baggage, birds, volcanic ash, and even humans. Other examples of FOD include loose aircraft parts left on the runway, poor weather conditions like hail or ice, and rocks/pavement from the ground. Foreign Object Damage: When the debris compromises the quality or safety of the aircraft carrier, the damage is considered to be Foreign Object Debris. As a result of the damage, serious or deadly accidents can occur, and it may interfere with flight safety. Foreign Object Debris can cause quite a bit of damage to airports, aircrafts, airlines, and individuals. The Federal Aviation Administration (FAA) provides specifications and guidance for creating an FOD program and the equipment used in FOD removal operations. It covers detection equipment for Foreign Object Debris, self-inspections for airport safety, procedures for maintaining airport pavements, and more. Although FOD is typically discussed within the scope of aviation and aerospace, the hazard is still a concern for manufacturing, warehousing, shipping, and other similar facilities. 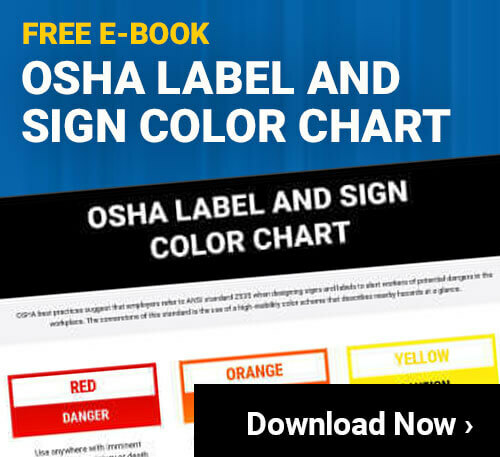 Assembly lines and production processes have a number of tools, materials, and products moving through the facility quickly and it can be a significant safety risk. In order to address the hazard of Foreign Object Debris, companies should invest in establishing an FOD program that encompasses visual communication, controls, training, organization, and inspection. FOD control programs will not only keep employees safe and operations running smoothly, but it will also work to maintain quality within processes. Most workplaces post signs to alert workers of the risk in designated areas utilizing a three-layer system: “FOD Awareness Area” indicates a low risk area, followed by “FOD Control Area,” and areas with a high potential for impact are designated with a “FOD Critical Area” sign. Whether it is a wall sign, floor sign, floor marking tape, labels, or barricades, it is important to mark entrances of areas where FOD may cause issue. Another key to effectively controlling FOD is keeping a clean and efficient facility. The 5S methodology outlines five phases (Sort, Set in Order, Shine, Standardize, Sustain) that can successfully aid in ridding the space of unnecessary items and successfully organize work areas. During this process, tool control and organization should also be considered. Using a vinyl shadow board tape or customizable tool foam can ensure all tools are accounted for at the end of each shift and any missing items can be logged.